■Please, check the contents of your contract. In this site you will find how to connect to the Internet in your dorm. Those who applied for our Wi-Fi Plus plan are able to use a wireless network. 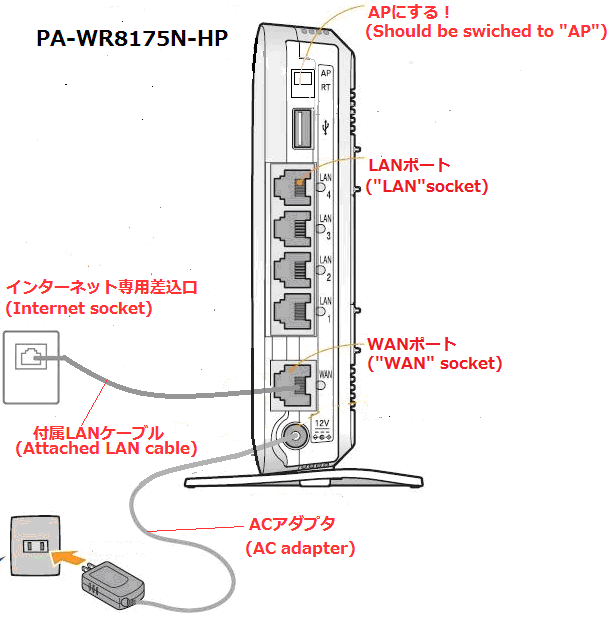 Those who applied for our Basic plan are able to connect one device through LAN cable. ■Please, register all the devices MAC address you want to use. Submitting the physical (MAC) address is required to use each terminal. If you don't know how to check it, click here. 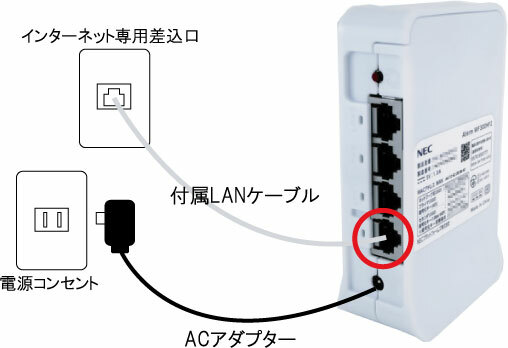 1．Connect the supplied LAN cable and AC adapter to your room plug. Attention! 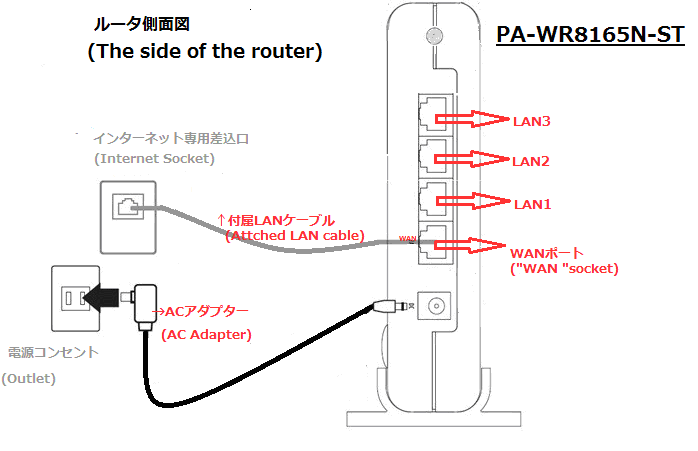 Be sure to connect the LAN cable to the router's WAN port. Be sure that the swith on the bottom of your router is in BR mode. You can find your password written on the back of your router. Be sure that the swith on the bottom of your router is in ブリッジ mode. Be sure that the swith on the bottom of your router is in AP mode.